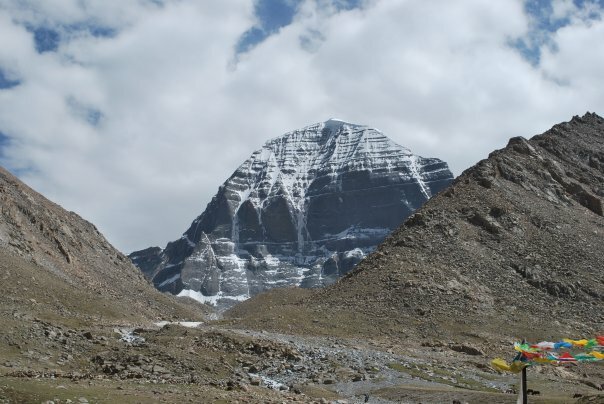 Kailash Parvat & Manasarovar Tirtha Yatra (A pilgrimage to Mt. Kailash & Manasarovar) - 17 days Mt. Kailash, 6700 meter peak, also referred as the Meru, Sumeru, Sushumna, Hemadri (golden mountain), Ratnasanu (jewel peak), Karnikachala (lotus mount), Amaradri, Deva Parvatha (summit of gods), Gana Parvatha, Rajatadri (silver mountain) in religious scriptures, is situated in the Western Tibet. The beauty of Mt. Kailash, which looks like a symmetrical cone shaped rock capped by pure crystalline ice all the time, is echoed in various mythological and literary works, this is the place where Lord Shiva and his divine consort Parvati live. A three-day circumambulation (Parikrama or Kora) around Mt. Kailash, which is also considered as the navel of the earth, involves crossing 5630 meter Dolma La (pass) which is believed to belong to Devi Parvati. Completing a Kora (Parikrama) is believed to erase the sins of a lifetime.